The Kids Navajo Valley Jacket from Jack Wolfskin fleece jacket keeps your child cosy and warm. 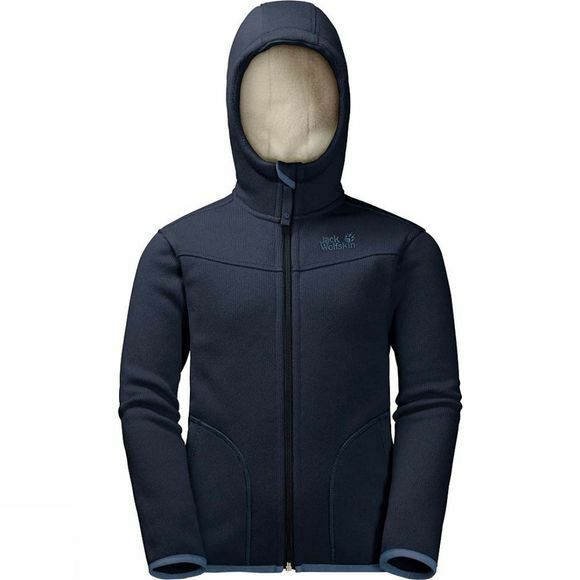 The fleece fabric provides exceptionally good insulation. It has a knitted-look exterior and soft, brushed reverse side for added warmth. The hood is lined with Sherpa fleece for extra cosiness.